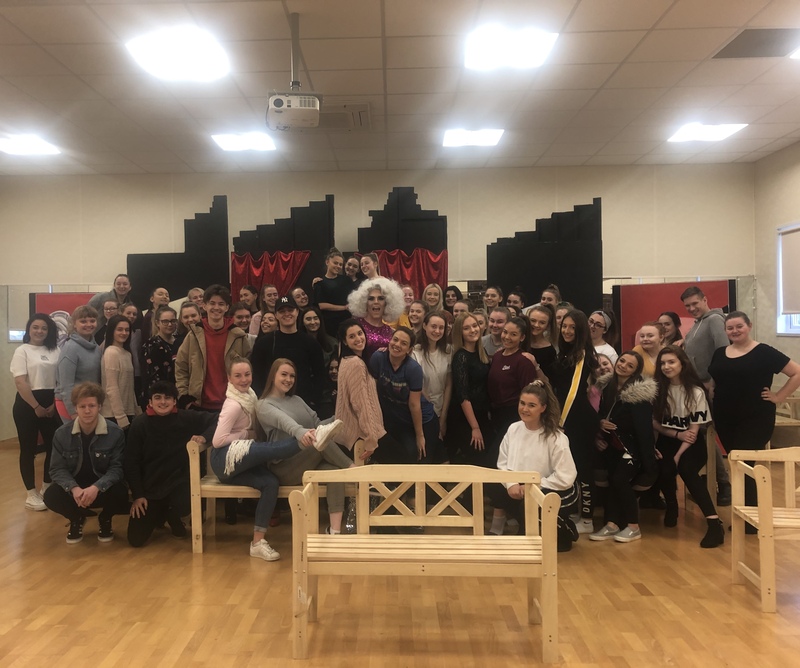 Dance students from Havant & South Downs College are set to explore and celebrate LGBTQ themes in their Rock Challenge performance, taking place at the Portsmouth Guildhall on Monday, 11 February. Their routine for Rock Challenge 2019, called ‘Love is Love’, depicts the story of a teenage boy ‘Jack’, who has grown tired of pretending to be something he’s not. He soon discovers that he can live the life he wants by finding his inner strength, showing his bravery of facing who he is and not being afraid to show it. His story celebrates inclusivity and that above it all, love is love. The performance will also include a side story about three drag queens embracing their art form and celebrating that with the world. Dance lecturer Sarah Parsons said: “There are two aspects really that we wanted to capture, a true and tender love story between two people as well as the drag subculture that provides a performance platform for people to express who they are. “We want to be clear that not every gay person is a drag queen. We are aiming to explore two worlds, one which is more intimate and about self-discovery and the other is about exploring a specific performance art that helps broaden the lens of gender identity and expression. “Our dance is based on the true story of one of our ex pupils, Cameron who has come in and helped us with choreography and drama skills. The students were very keen to work with him and they were very respectful and receptive of his feedback and suggestions as to how to fully embody the emotional aspects of his story. Performing choreography directed by Dance lecturer Andie Poulaki, the group will take to the stage on Monday up against a number of other schools and colleges from across the area. Sarah added: “Ross Robertson who plays ‘Jack’ was initially very nervous about the role, as a straight male he felt the pressure to capture the character well and wanted to be believable as a young lad questioning his sexuality. Jono Matthews plays the love interest and he and Ross have excellent chemistry. They really didn’t need to worry at all, we are really proud of how mature they have been. Speaking about the lead up to the Rock Challenge heats, lead dancer Ross Robertson said: “We have been rehearsing for a few months, they have been really good. It’s fun as well because it brings not just the dance department together but the performing arts and musical theatre departments as well. For more information on Dance courses at HSDC, click here.